Would you know what to do if a fire started in your home? Would your kids? Are you prepared for an earthquake or other natural disaster? Take the time now to review safety facts and tips so your family will be prepared in the event of an emergency in your home or community. 9-1-1 is the telephone number to call when you need immediate police, fire, lifeguard or medical assistance. 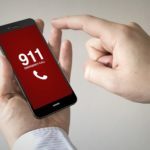 Do you know when to call 9-1-1? Do you know what to do when you reach a dispatcher? Download a free “Help 9-1-1 Help You” below. San Diego’s fire season is year-round. We continue to experience some of the driest periods in state history. It’s important that every resident prepare their home and their family for the possibility of a major fire. You can download a copy of your personal “Ready, Set, Go!” wildland fire action guide below. We hope you will read the guide and follow its advice. 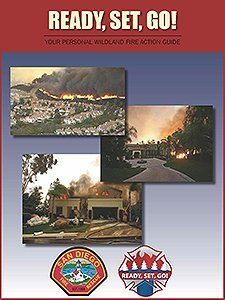 Ready San Diego has resources to help you and your family prepare for (and recover from) everything from a wild land fire to an earthquake and more. Visit Ready San Diego for lifesaving resources, including how to receive safety alerts on your phone. 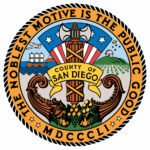 211 San Diego works with County and other local resources to connect you, your family, and other residents to community-wide service organizations that focus on health, food, housing, disaster, veterans, and other specialized needs. College students (and their parents) should take a few minutes to make sure they are living in a fire-safe environment. Educating students on what they can do to stay safe during the school year is important and often overlooked. Click here to download college campus fire safety tips. The Red Guide to Recovery provides the disaster survivor with a simple, easy to use resource that walks them step-by-step through the recovery process to help quell the chaos after any disaster. The information in the guide raises the awareness on how to avoid pitfalls that commonly occur, and can protect the disaster survivor from becoming a disaster victim, giving them a powerful helping hand of knowledge. Visit the San Diego Fire-Rescue Department website for more even safety education resources.